Cannabis and meditation have long walked hand in hand. The partnership has its beginnings in early religious and spiritual tradition, and humans certainly haven’t forgotten the introspective utility marijuana offers in modern meditative practices. 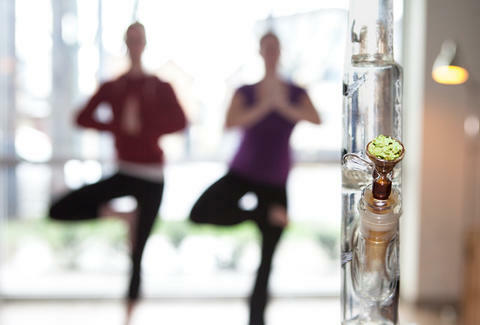 Whether you’re practicing silent mindfulness at home or working on your mind-body connections in a yoga class, you may have at least thought about pairing your meditation with cannabis. While some people prefer a sober mind for their spiritual reflections, we’ve gathered some strain suggestions for those curious to see how an altered mindset affects the experience. Of course, there are many strains suitable for meditation of both active and unmoving varieties, but the following are some of the most commonly vetted strains among Leafly’s reviewer community. Unleash the zen power of this relaxing indica strain, whose soothing effects begin the moment you crack open one of its berry-scented buds. Dreamy euphoria melts over the mind while the body eases itself into deep physical serenity. Though known for its tranquilizing effects, Granddaddy Purple usually leaves enough liveliness for both still and active forms of meditation. 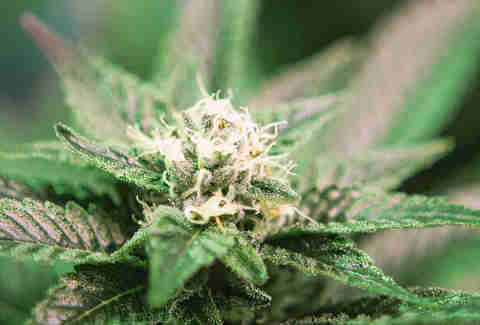 This Jamaican sativa is known for its ability to bring out the positive vibes while emitting an earthy, woody aroma. With an uplifting, peaceful quality that Bob Marley famously serenaded, Lamb’s Bread offers a calming cerebral effect that one may not expect from an energizing sativa. Northern Lights is known for its sedating and dreamy euphoria, but in spite of its heavy tranquilizing effects, this indica is still a popular choice for yoga and other active forms of meditation. Blue Dream seems to be the fan favorite among cannabis enthusiasts, and if you’ve experienced the dream-like qualities of this blueberry-flavored hybrid, you can imagine why so many Leafly reviewers tout its meditative merits. Its full-body relaxation and cerebral euphoria tend to begin with a steady gentleness, allowing you to coast lightly into a peaceful, ethereal state of mind. Inherent in this sativa’s name, Laughing Buddha tends to simultaneously bring out lightheartedness and deep introspection for those who let this strain facilitate their meditation. Laughing Buddha lends a hand to positivity, helping you forget the day’s stresses and focus on your practice. Jack the Ripper may be named after a homicidal psychopath, but this citrusy, uplifting strain makes a surprisingly good companion for mindful reflection. Its invigorating effects will leave you feeling spry and weightless as you bust out those downward dogs and warrior poses with a sharply focused mind. For those of you wanting a more intense impact from your cannabis, pair your meditation with the famously potent Girl Scout Cookies hybrid. This strain is known for its impressive THC content and powerful euphoria, which can bring introspection to a new level as muscles relax and tension fades. It may seem contradictory to use a strain called AK-47 to summon a peaceful, serene mindset, but trust us, you’ll be pleasantly surprised by the irony. Novices, be careful though: the euphoric power this strain packs can detract from your meditation if you’re prone to anxiety or paranoia. Pairing Hindu Kush with the ancient Hindu practice of meditation just makes sense. Inducing a hypnotic, trance-like state of mind, Hindu Kush is the perfect indica partner for focused meditation. You’ll want to be in a horizontal position before puffing on this heavy indica. Kosher Kush wraps the mind with a blissful, stress-numbing blanket of euphoria while easing every muscle into anesthetic relaxation. This article was originally published as What Are the Best Cannabis Strains for Meditation. For this and more articles on cannabis news and culture, including best practices in pairing yoga and cannabis, visit Leafly News.